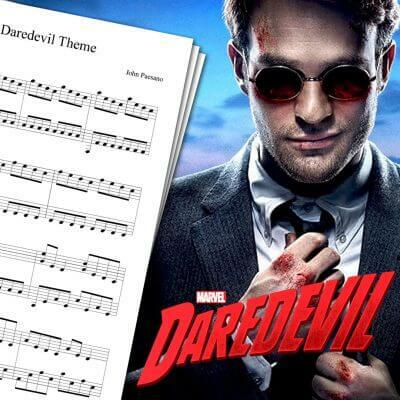 Piano sheet music for the Sherlock theme song. There are some great musics in Sherlock, and it was hard to pick one to play. In the end, I decided to simply play the opening theme! You can watch this Sherlock Theme Sheet Music played live on my piano cover above! 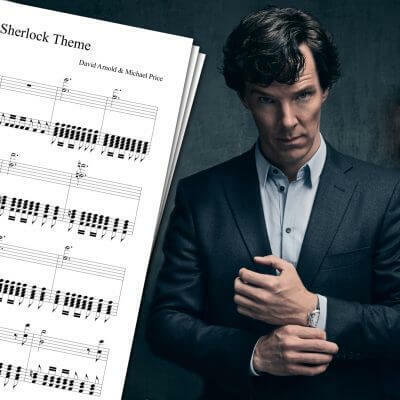 The Sherlock opening is fairly easy to play on piano. Therefore, even if you’re a beginner, you shouldn’t have any trouble playing it. 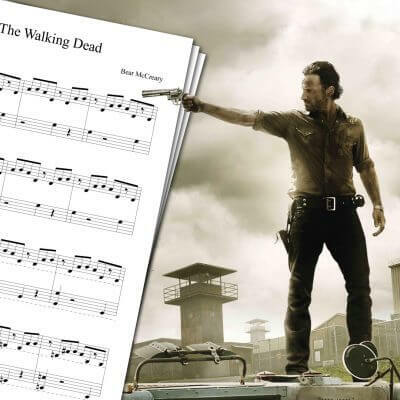 For more sheet music and piano covers, feel free to check the main piano sheet music page. 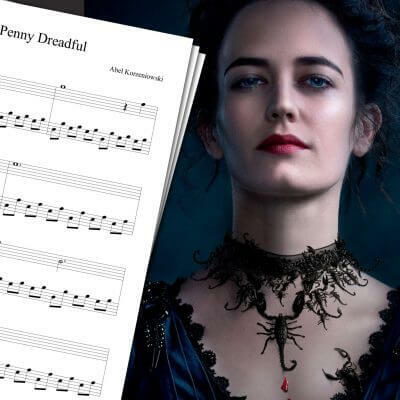 You will find, among other things, the Penny Dreadful Theme Sheet Music, The Walking Dead Theme Sheet Music, or the Breaking Bad Theme Sheet Music. Sherlock is a TV series created by Steven Moffat and Mark Gatiss, that premiered in 2010. It features Benedict Cumberbatch as Sherlock Holmes and Martin Freeman as Doctor Watson. 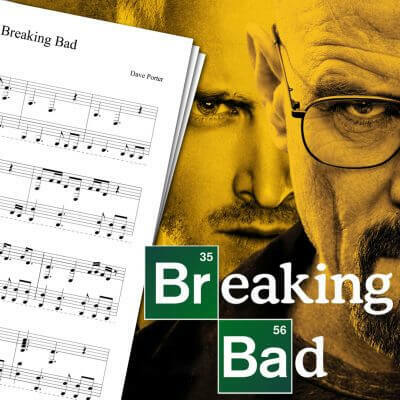 The opening title itself was composed by David Arnold and Michael Price.